I'm leaving for the US tomorrow and won't be home for several months, but as the big thaw continues (despite more snow flurries today! 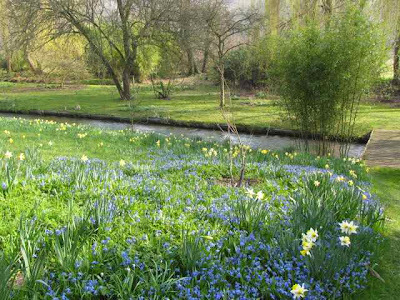 ), I realised that I'm going to miss some of the wonderful spring gardens in England this year. I won't see the bluebells, or the daffodils, so wanted to flag up a few gardens for my readers, in case you've got the chance to visit when there are carpets of spring flowers. And if you do ... please take some pictures for me! 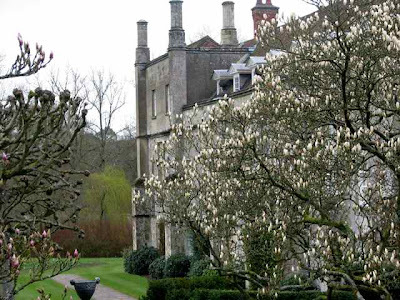 Two exceptional gardens that you can visit in a day are Mottisfont Abbey (above) with its incredible camellias, and Heale House (below) with its acres of daffodils - both are quite wonderful in springtime, and you may want to think about planning a visit as the days grow longer. 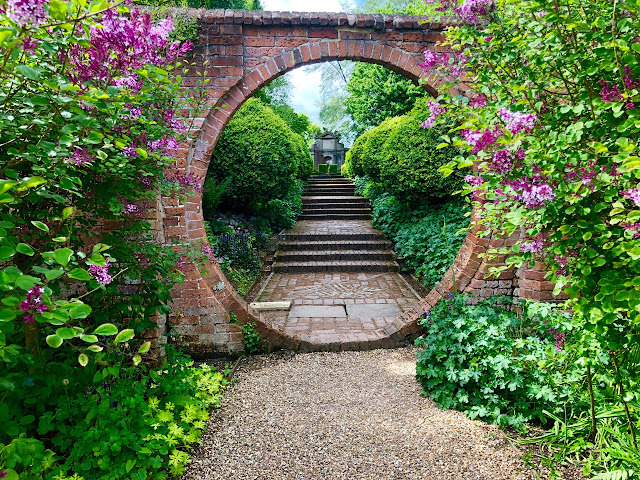 Longstock Park is another must see in this vicinity - but opening times are very limited and I have yet to get there (because of the restricted hours), although only last week someone was telling me what a beautiful garden this is. 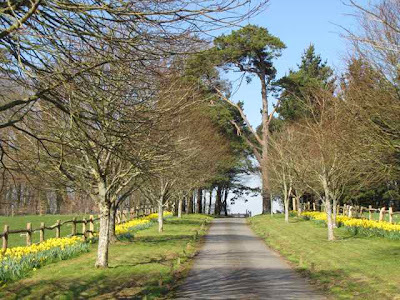 Cornwall also has more than its fair share of exceptional spring properties, and the gardens tend to be ahead of those further east. You've got a glut of glorious gardens including Trewithen (below), with its incredible spring bulbs and camellias; Caerhays Castle, which will leave you gasping because the spring camellia and rhododendron displays are so incredible; and other amazing gardens on the Helford Estuary, including Trebah and Glendurgan. You'd need a week in Cornwall to take them all in, but I think this is the best time of year because prices are lower and the county is less crowded. If you're planning visits to British gardens, you may find my Garden Directory useful - it lists nearly 100 properties that I visited in 2009. 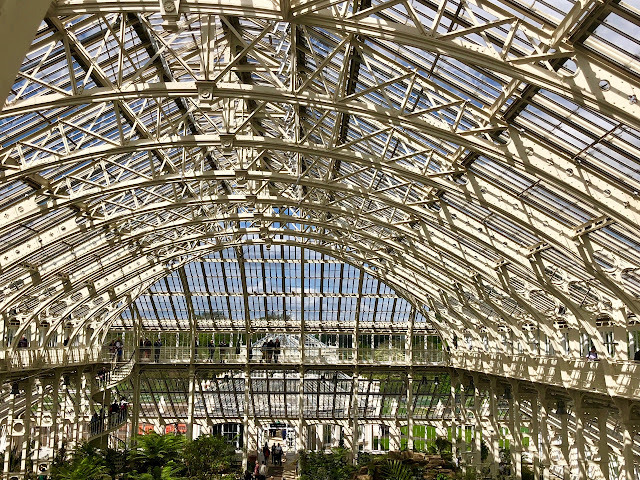 I hope you enjoy these gardens .... and I shall be back reviewing American gardens next week, including the new Botanical Garden at Naples, which I plan to visit over the weekend. I shall also be touring the Carolinas, Georgia and several other states in the next few weeks, so hope you'll check in to see where I've been. Mottisfont Abbey looks like a great place to see (the structure looks fascinating). And look at all of those daffodils - wonderful. It resembles the wild flags here when they are in full bloom - just a huge mass of yellow, 1000's of them. The blues add a nice touch. 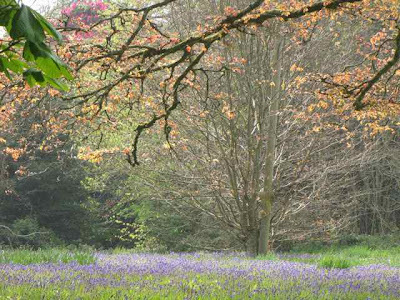 Spring in England is so beautiful, (and long, compared to Canada, where it seems to come and go in a couple of weeks). Enjoy your time in the US, Charlotte, looking forward to lots of pictures from you. Ah, here I go getting homesick again. Enjoy your travels on this side of the pond - I'm sure you'll have some outstanding photos to show us. Safe travels. You're heading to one of the prettiest areas of this big country. Any plans to make it to the desert Southwest? What I wouldn't give to be able to visit England in the spring. But I do it vicariously through blogs. Have a safe trip and we'll look forward to 'travelling' with you! Indeed, the Galloping Gardener is off galavanting, or is that galloping? Have a wonderful time. Looking forward to seeing the gardens of the US through your eyes! Thanks for the spring preview! I hope you have a spring at you different location. I'm sure we'll all be checking in. Maybe I'll see you in Pennsylvania. Happy galloping! I always enjoy viewing the beautiful British gardens that you bring to us. I hope you have a safe trip to the States. Beautiful spring gardens... I would love to visit everyone. Safe travels and hopefully it will be warm for you in the south! Look forward to your garden posts! Welcome to the United States! I hope you enjoy spring here this year! It might be a little more Emersonian then Keatsian, but we love both, right? It will be interesting to see what you dig up on this continent as you are out and about! Where about will you be? Are you heading out west towards the Rocky Mountains? I think I would be more than willing to forego an English spring in order to spend a few months in the States. Have a great trip, I look forward to reading about it. Mottisfont is best visited when the roses are out. The house I didn't like!